Home News Who is the won in Indian elections? Who is the won in Indian elections? The first phase of the 17th elections in the world’s largest democracy, Indo-Lok Sabha was completed, 20 million voters used their right to vote for 91 seats of 20 states. Tomorrow, 90 billion voters are going to pick up their leadership on 543 seats for the next 5 years in a country of 30 billion people. Elections held in 7 stages will be completed in 6 weeks and their final results will be announced on May 23. Despite heavy Hindu merit, colorful India is a country of different religions, cultures and languages, The joint parliamentary civil society based on the cultural pluralism and secular uproach has kept a unity and power, which sees itself in China’s competitiveness with its emerging Economy and Powerful Force but regret this time such a big democracy is like the leadership of the leadership of Pakistan. On one side, Indra Congress is led by Rahul Gandhi, on the other hand, the BJP’s rule in the direction of Narendra Modi. Congress services for modern India do not need any introduction, this is the secular party which has not only tried hard to liberate India instead, a unique struggle led by Gandhiji’s followers and Pandit Nehru to build a tolerant and modern India. The Indian Constitution is the most beautiful example of which Hindus or SSRs are unable to distract. After Pandit, his talented daughter, Indra Gandhi, is not more likely to criticize her democratic country than the happy country. It was unfortunate that the Congress which was assassinated by Gandhiji, Indra Gandhi and his son Rajiv Gandhi were also brutally attacked. Ms. Sonia Gandhi objected that she was not a real Indian but she was Indra Gandhi’s daughter-in-law. And half of the centuries are still Italian despite spending here. Today, Congress is dominated by Rahul Gandhi’s relatively handsome leadership but in his personality, his father, grandmother, and Pandit Nehru are not like charisma or sunday. His opponents, especially Narendra Modi, call him Papo. Even though Rahul Gandhi has been put in the field with Priyanka Gandhi in the field to make Congress election campaign alive, in which many Indians show Indira Gandhi’s glimpse. 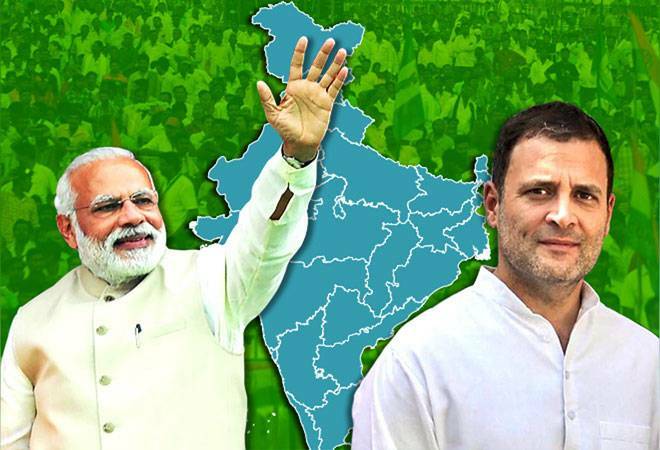 It can be said that this time the Congress position would be better than this time in 2014 but as far as success or government is estimated to be, they also appear to be in favor of Narendra Modi’s BJP at this time. Modi’s personality, politics and governance can have many objections and done. Before the 2014 elections, the high-profile claims and promises they had made before their people, despite passing 5 years, they proved to be a dream completion, now that salt is spiced and they are showing spare parts. In which the biggest promise is to eliminate unemployment and poverty. At the time of time, Akonomy was improved, whose actual debt of attorney goes to Prime Minister Atal Behari Vajpayee. BJP and Modi are especially objected to not only for the sake of their political interests, but also promoting Hindu extremism, but in their backward classes, the feeling of anti-Pakistan has also provoked. Their interest in the Indian Secular Law and the Secular Society is dangerous and destructive. Although many liberal voices are rising in India, the constructive thinking of seriousness in the destruction of emotions is terminated for a period. For example, when Parantha Gandhi wanted to go to Ayodhya, then this question was kept in front of them. Are they in favor of construction of Rama Temple instead of Babri Masjid or in opposition? The same question was done when his father was done, he said that Ram Temple should be made but we will not allow the Babar Masjid to come down, but at this time the BJP has made this thinking very weak. Even though the Muslim voters today see Congress and Rahul Gandhi in full view, they are largely deprived of their leadership. The BJP often listens that Papo becomes a Hindu and somewhere Maulana. For the political political interests, Modi changed the way in the recent election campaign, what kind of statement against Pakistan and the achievement of its fascinating goals in the way lies lies, on their basis, if they win the election ministries, they will never be entitled to be called a senior leader on a historical basis. In this background, our Prime Minister Imran Khan described that Modi’s victory has more prospects of settlement of Kashmir dispute, this type of statement can be given by someone who is not aware of the basic facts of Indian politics. Modi recently said in a clear words that Kashmir problem could be resolved in similar manner, the way the problems of the State Hyderabad and Jangarh were resolved. In further explanation, he gave the idea of ​​eliminating Kashmir’s special status with these arguments Article 370 and 35A of the Indian Constitution, which give state status autonomous Kashmir, the state has the biggest barriers in creating employment opportunities and external investment, so we will eliminate them. Our responsibilities should be demonstrated by realizing the statement on foreign affairs and should be contradictory against the statements. We have to say sorry with the fact that the Indian government had come back to the past, which could have been expected to resolve contradictory issues, but what we did to it. Kargal came to Vajpayee. If anyone goes ahead, there is nothing to do with national destruction, but Pervez Musharraf looks unstoppable for talks with the Indian leadership. Delhi and Agra went to Yatra but failed to return. Even though we have to develop, there is no option other than peace, brotherhood and friendship but when we get the opportunity, we blow out the fact. Our quality was earlier, even today. On one hand, if we give Modi’s attention, then on the other hand, take a medicine from the boy of this donation.